To eliminate audio cables plugged into cameras on location, we use the Zaxcom IFB200 which can be used as either a transmitter or receiver. As a transmitter, it sends IFB audio, timecode and remote control commands to our TRX digital recording wireless transmitters and ERX receivers. 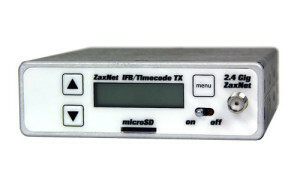 It can also be used to monitor audio from a QRX or any other ZaxNet transmitter. 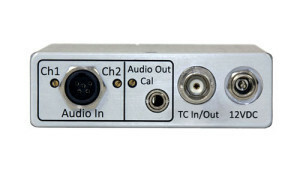 The signals are carried on a single RF channel over a 2.4 GHz signal and can be used license-free in almost every country with an IFB audio range of approximately 100 feet and an IFB timecode and remote control range of approximately 400 feet. 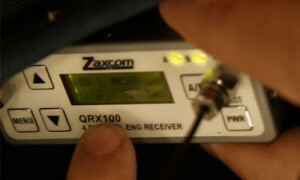 Click here for more information about the Zaxcom IFB200.